‘THE RANCH’, as it is affectionately called by those people who are lucky enough to have been there, is one of my favorite places in the world. 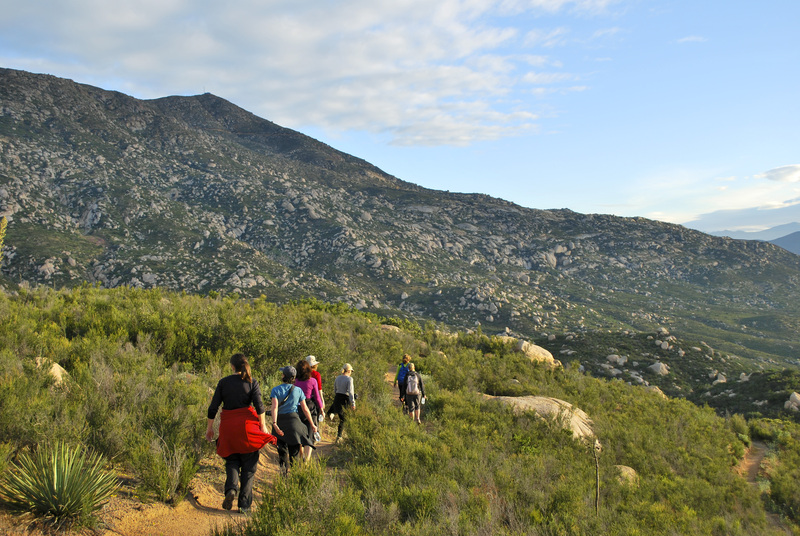 Rancho La Puerta, basking in the shadow of rugged Mount Kuchumaa in Baja California, is a fitness and wellness oasis, and gorgeous retreat. I went for the first time when I had three little boys at home. It was the first time I had left my kids to go on a trip by myself and my mother and father in law came to help my husband. It was quite liberating to not have to worry about anyone else for a whole week, a rarity for most moms. 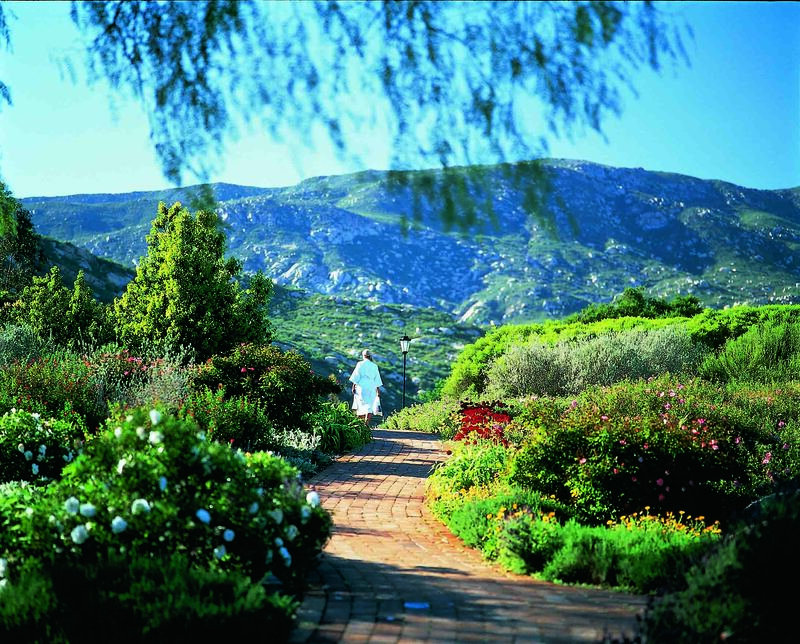 I loved everything about The Ranch; getting up at 6am to do the Pilgrim hike before breakfast; going to pilates, yoga, then circuit training before lunch; pool-time, spa treatments and naptime restorative yoga before dinner. Ahh, what a day –every day for a week! What I loved best though is the food, which is ovo-lacto vegetarian, with small amounts of seafood. The wonderful food made me realize that I really like vegetarian food when it’s done this well. Meals are flavorful, healthful and creative. Most of the produce comes from Rancho Tres Estrellas, the 6-acre organic farm on the property which is available to visit. 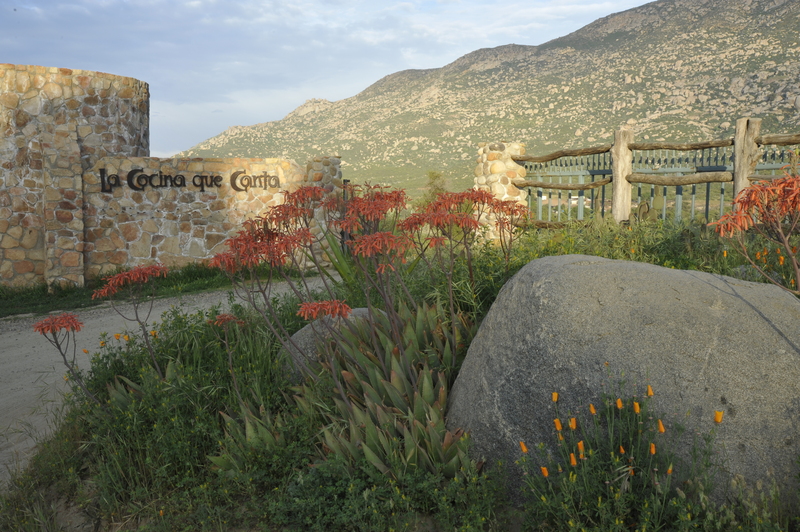 Foodies take note, a wonderful cooking school rests in the center of the farm, La Cocina Que Canta (“The Kitchen That Sings!”) which also takes advantage of the fresh produce. Classes are available to Ranch guests. I have been back several times, with friends and by myself. 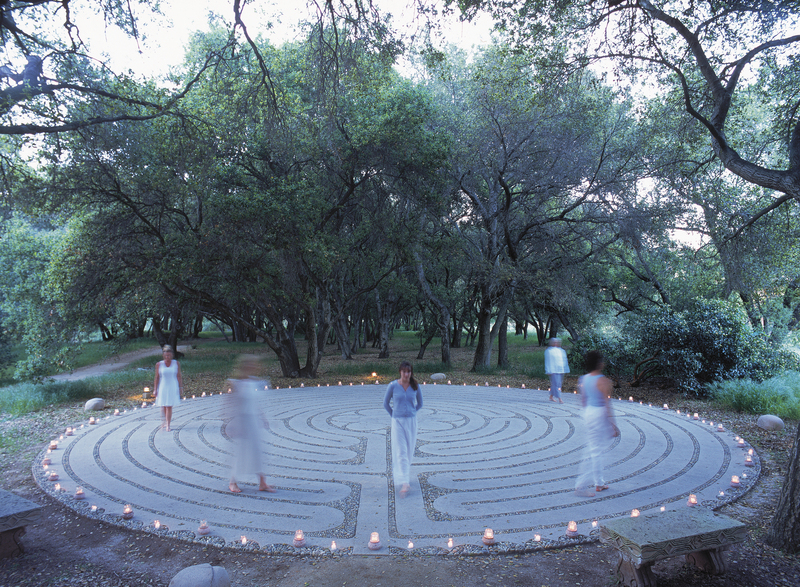 Every day I was there, I did something I had never done before; Crystal Bowls (Sound Healing), Silent Dinner, Tai Chi or even a walk through the labyrinth. It’s a magical place and I can’t wait to go back, for both the experience and the food. 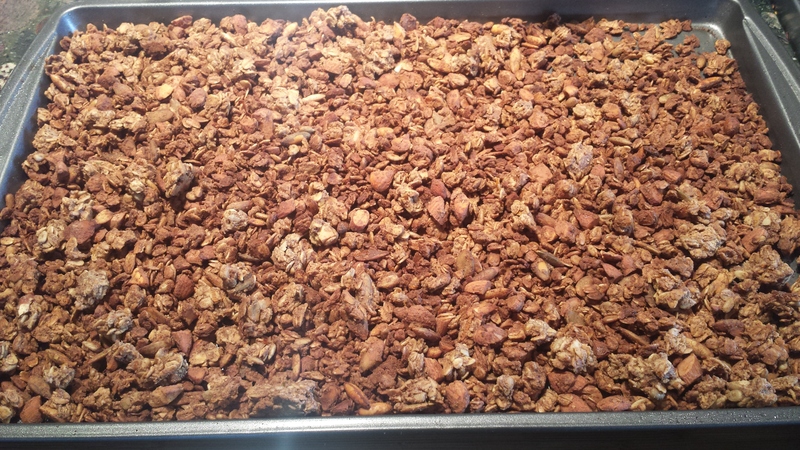 So I thought I would share their most requested recipe, Rancho La Puerta Granola (which I have been wanting to make for the last 10 years or so). It is lower in fat and sugar than most recipes and truly delicious. Upon arrival at the San Diego airport, we were each given a baggie of granola for the bus ride to The Ranch and with just one mouthful we were all hooked. As I recall a bag of granola was one of the most coveted prizes at Bingo night, (The Ranch is not known for its rocking nightlife, although Bingo night is legendary). I stayed true to the recipe with the following exceptions. I am allergic to canola oil (and no longer think its so great anyway) and substituted coconut oil which I melted in the microwave on low power. I also used a coconut oil spray to coat the pan. I made this recipe twice since the first time it turned brown too fast as my oven was too hot. The second time I had the oven at 250 degrees, as recommended, not 350. Note to self: “Do not attempt to make a recipe for the first time without your reading glasses. I would recommend using the top rack in the oven as the granola turns from golden to brown pretty quickly even at 250, so start watching at the 60 minute mark. Enjoy your little bit of The Ranch! Even better, share with friends! 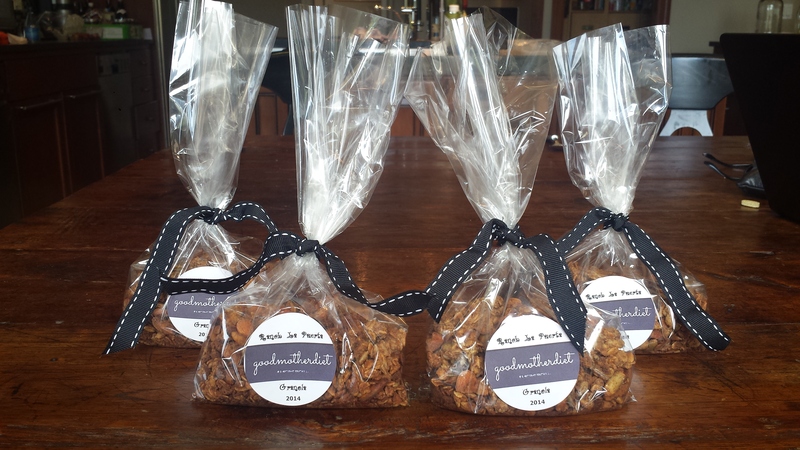 Rancho La Puerta Granola makes great gifts. One batch makes four cup and a half servings. Just bag, label and tie with a ribbon. 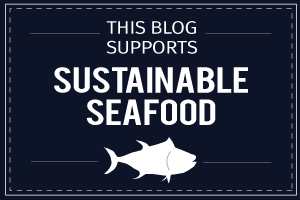 (Check out my Canning and Preserving Page for more info on labels). Voila! Hostess gifts solved. 1. Preheat oven to 250ºF. 2. Lightly coat a baking sheet with vegetable oil spray. (I love an extra coconut flavor so I used a coconut oil spray). 3. 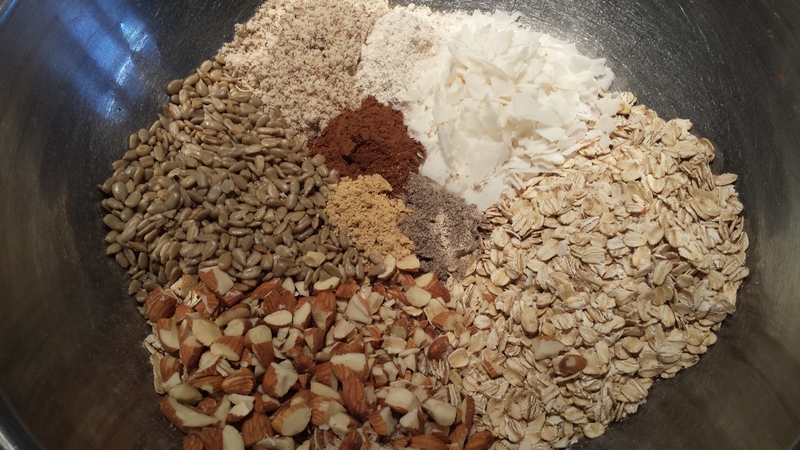 In a large mixing bowl, combine the rolled oats, almonds, seeds, coconut, flour, oat bran, cinnamon, ginger and cardamom. 4. 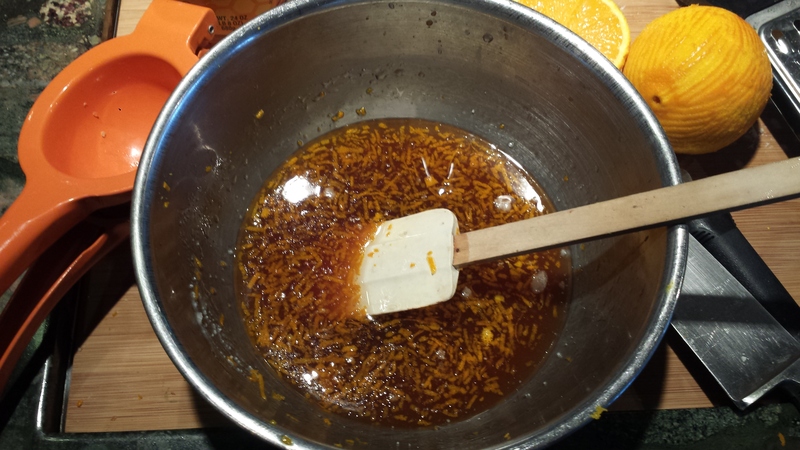 In another bowl, whisk together the honey, apple juice, vanilla and oil until the honey is thoroughly incorporated. Add the orange zest and the orange juice if desired. 5. Pour the wet ingredients over the dry ingredients and mix well. 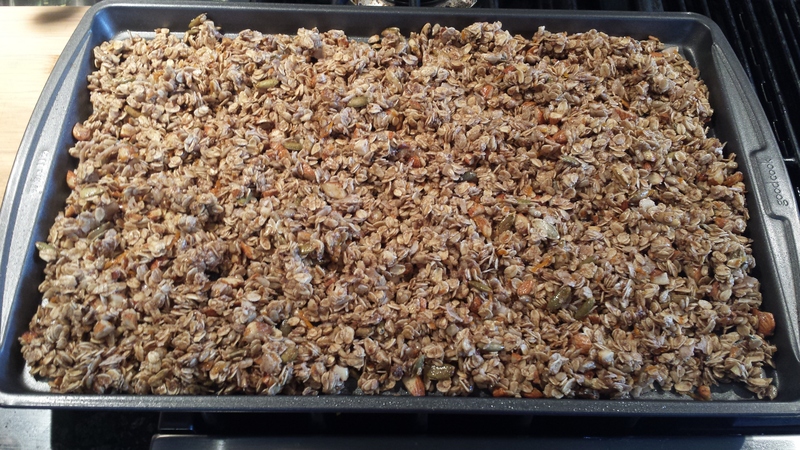 Spread the granola evenly over the baking sheet and bake about an hour and a half, checking and stirring every fifteen minutes. Take care that the outside edges do not burn. When golden and dry, scrape onto a plate or cool baking sheet and set aside to cool. 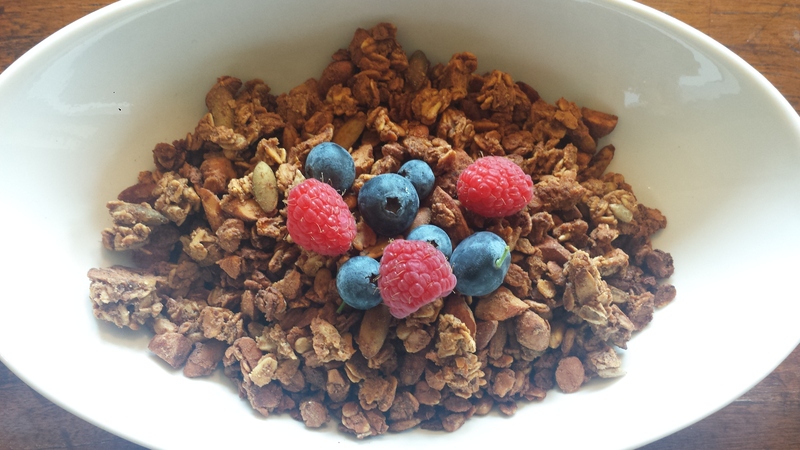 This entry was posted in All Recipes, Breakfast, Canning and Preserving/Gifts, Travel, Vegan, vegetarian and tagged gluten free, granola, Rancho La Puerta, Rancho La Puerta Granola, Vegan, vegetarian, Wheat Free. Bookmark the permalink. This might be a good hostess gift to take to New York. Was wanting to take my jam, but not sure if can take on plane. I have been afraid to take my jams and olives past security. I recently heard about an elderly lady who took lemons in her bag. They thought she had hand grenades. She actually took a frozen chicken too! They let her through.